First tour of B-series was played in Vaasa and the whole team was happy to have the breakfast of Vaasa Sokos hotels! For once we didn’t even need to drive there on Friday night because the first game was on Sat at 15:00 <3. Unfortunately this time we can’t blame “morning game” sleepiness for our loss against home team Vaasa Saints 15:11, but on second halftime we got our game together and didn’t give the winged ones an easy win! We didn’t have big expectations for the tour, because our new gameplay-mode is less than 4 months old, but the start was promising! 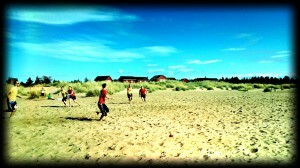 The second game on Sat against Atletico 2 (Whats the thing with wings (starlings) and ultimate thou?) ended 15:7 for Disquitos thanks to Tapsa’s instructions for our trap-defence! Our trap worked wonders whole weekend giving us another tight game against Helsinki Grooves 12:14 – unfortunately as it was Sunday’s first game we again gave our opponents 4 point lead at first half and second half was not enough to get past them. Tournament’s last game against Terror from Turku gave us a fantastic ending for the weekend – 15:6 for Disquitos and gave us position 3/5. This tour gave us faith in our new gameplay-mode and in our ability to trap-defend, which included 3-4 changes of defendees at the best (thank you Saara and others for this 😉 ). Special thanks to our coach Tapio Moilanen who got the best out of our team! And special mention to Sini Kokkonen who made her tour-deput with trustworthy game from start to end! 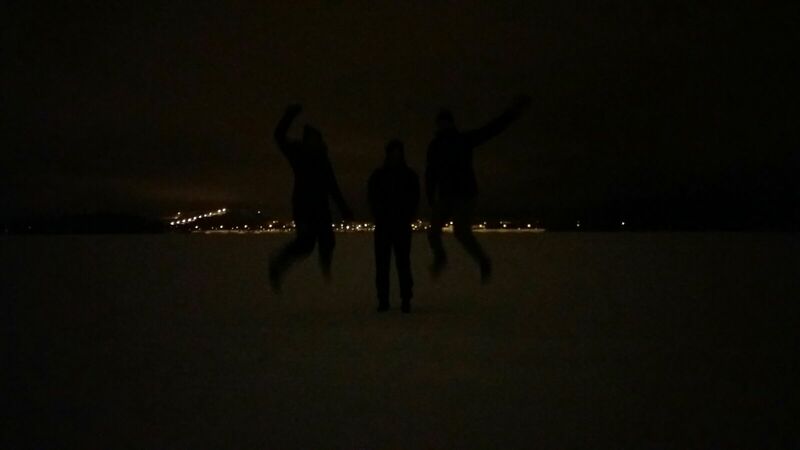 Second tour was played in Jyväskylä which brought us back to my mom’s 2 room apartment where 9 of us got close and cosy once again. 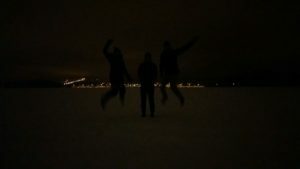 This time the legendary air-bed was left to Oulu sadly. On Friday evening we wanted some fresh air after sitting almost 6 hours in the car and had a nice walk around and over a lake. Our worst nightmare came true when we had the most important game of Saturday first. Pohjoisviima gave us freezing headwind in the first halftime blowing our risky throws to floor / defenders’ hands and giving the 1:6 lead at the worst. Not needed to mention that well played second half was not enough to win this one and the game was lost 11:13. In the second game JSW surprised us with their unstoppable give-and-goes that left us kinda helpless. At the same time they had trouble with our opening throws to the blind side. This time we were able to get the needed D-s on second half to catch JSW’s 2 point lead from first half and secure us a win 13:15. Third game against SOS was one of the tightest in our game-history against them. SOS proved their game A-series worth and won 15:11. Still a good game from us to call it a night, so we went to see JKL:s watertower that was unfortunately close and then had a nice walk around Kuokkala’s bridge. Playing a tourist for once was fun and giving our legs the needed cooldown for the next day. Sunday started against the best spirited team of the tournament: Ufo Moro. 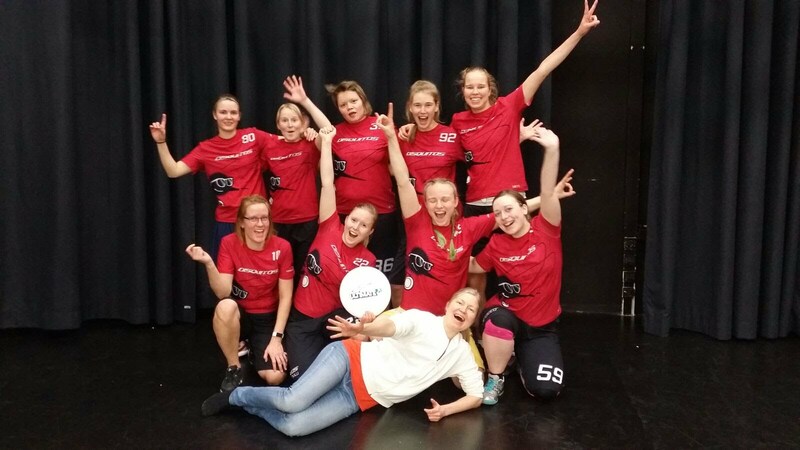 Can’t say but warm thanks to them brighting up the day with their smiles and joyful game even thou Oulu won this one 15:4 – hope we will see you guys again on next tour <3. Last game against Atletico 2 for 5th place was much tighter than our winning-score 15:8 might give impression of. For once we were leading in the first halftime thou! Atletico had leveled up their game since tour 1 remarkably, but we kept our cool. Biggest thanks to Tuuli Pohjola who was coaching us bravely from the bench even thou she was unable to play herself. 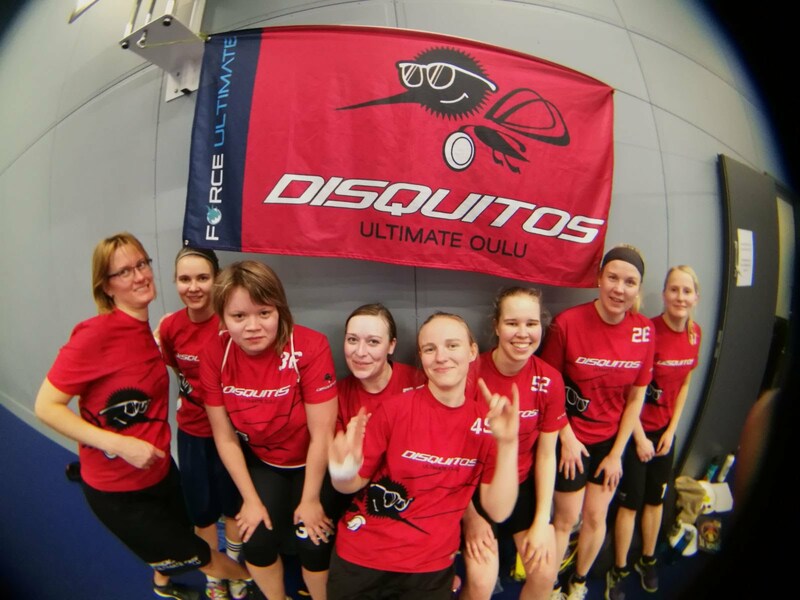 And special mention to Daniela Roreitnerová (try to say it fast 3 times XD) who just joined our team, instantly becoming our cannon of scores, and Kati Pyörälä who finally made her tour-debut and giving even the most experienced opponents unbelievably tight defence!